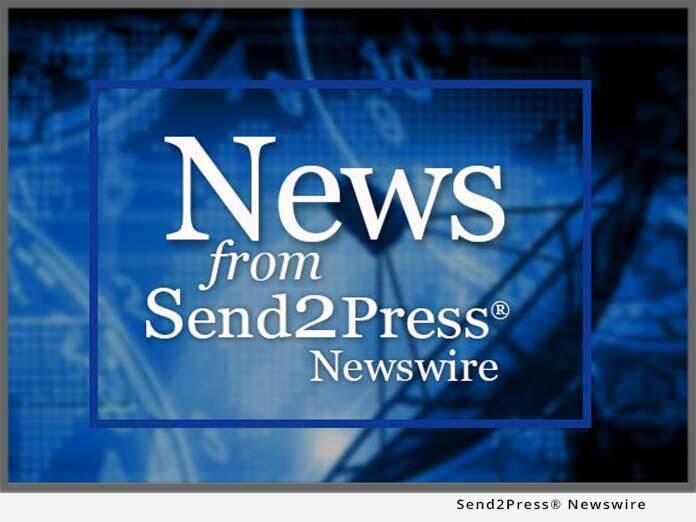 SAN FRANCISCO, Calif., Nov. 14, 2013 (SEND2PRESS NEWSWIRE) — Edgewood Partners Insurance Center (EPIC), a leading retail insurance broker headquartered in California, announced today that funds managed by global alternative asset manager The Carlyle Group (Carlyle) have agreed to acquire a controlling equity stake in the company. Carlyle’s investment will enable EPIC to continue to execute its organic growth strategy and support strategic acquisitions of complementary insurance distribution platforms throughout the United States. Founded in July 2007 by John Hahn and Dan Francis, in partnership with funds managed by Stone Point Capital (“Stone Point”), EPIC has become a leading insurance broker in the California market, with approximately $80 million in annual revenues. The company has developed a broad suite of capabilities for commercial lines and employee benefits placements as well as specialized placement capabilities for the real estate, hospitality, construction, renewable energy and other industries. Terms of the investment, which is subject to customary regulatory approvals and is expected to close at year-end, were not disclosed. Equity for the investment will be provided by Carlyle Global Financial Services Partners L.P. and Carlyle Global Financial Services Partners II L.P.
Post closing, funds managed by Stone Point and EPIC employees, including founders John Hahn and Dan Francis, will remain substantial investors in the company. EPIC was advised throughout the transaction by Bank of America Merrill Lynch (financial advisor) and by Kramer Levin Naftalis & Frankel LLP (legal counsel). The Carlyle Group was advised by Sandler O’Neill & Partners, LLP (financial advisor) and by Wachtell, Lipton, Rosen & Katz (legal counsel). EPIC is a unique and innovative retail property and casualty and employee benefits insurance brokerage and consulting firm. EPIC has created a values-based, client-focused culture that attracts and retains top talent, fosters employee satisfaction and loyalty and sustains a high level of customer service excellence. EPIC team members have consistently recognized their company as a “Best Place to Work” in multiple regions across California and as a “Best Place to Work in the Insurance Industry” nationally. EPIC has more than 300 team members operating from ten offices across California (Los Angeles, Irvine, Ontario, Fresno, Folsom, San Francisco, San Mateo, Petaluma, San Ramon, Inland Empire) and in Denver, Colorado and New York. EPIC ranks among the top 40 retail insurance brokers in the U.S. More Information: http://www.edgewoodins.com/. The Carlyle Group (NASDAQ: CG) is a global alternative asset manager with $185 billion of assets under management across 122 funds and 81 fund of funds vehicles as of September 30, 2013. Carlyle’s purpose is to invest wisely and create value on behalf of its investors, many of whom are public pensions. Carlyle invests across four segments – Corporate Private Equity, Real Assets, Global Market Strategies and Solutions – in Africa, Asia, Australia, Europe, the Middle East, North America and South America. Carlyle has expertise in various industries, including: aerospace, defense & government services, consumer & retail, energy, financial services, healthcare, industrial, technology & business services, telecommunications & media and transportation. The Carlyle Group employs more than 1,450 people in 34 offices across six continents. Stone Point Capital LLC is a global private equity firm based in Greenwich, Connecticut, that has a 25-year record of making successful investments in the financial services industry. Stone Point Capital serves as the manager of the Trident Funds, which have raised more than $9 billion in committed capital to make investments in lending, banking, insurance, asset management and other financial services companies. For further information about Stone Point Capital, see http://www.stonepoint.com/. 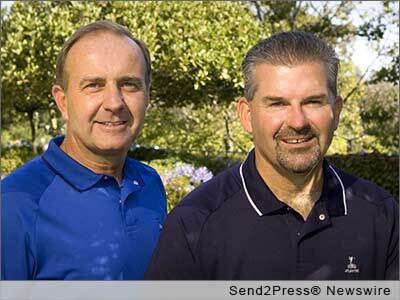 * Caption: EPIC Founders Dan Francis and John Hahn. Stock ticker: The Carlyle Group ( NASDAQ:CG ). Original Keywords: The Carlyle Group NASDAQ:CG, EPIC, Edgewood Partners Insurance Center, Dan Francis and John Hahn, Stone Point Capital LLC, CEO Charles A. Davis, Carlyle Global Financial Services Partners II L.P. Edgewood Partners Insurance Center San Francisco California SAN FRANCISCO, Calif.
John Hahn, the co-founder and CEO of EPIC, said: "Over the past six years, we have worked hard to build EPIC into a unique firm that is focused on providing innovative solutions for our clients. We have done so by creating a culture of accountability and alignment through our broad-based employee ownership. With the financial backing of Carlyle, we can build on the strength of our California-based organization. We can continue to execute our strategy of acquiring businesses and hiring proven teams that bring a strong client base as well as specialized placement capabilities to our company. We look forward to working with our new partners at Carlyle, our existing partners at Stone Point and our dedicated employees, many of whom are shareholders in our business." REFERENCES: Mergers and Acquisitions News, The Carlyle Group NASDAQ:CG, EPIC, Edgewood Partners Insurance Center, Dan Francis and John Hahn, Stone Point Capital LLC, CEO Charles A. Davis, Carlyle Global Financial Services Partners II L.P. Edgewood Partners Insurance Center San Francisco California SAN FRANCISCO, Calif.